The Credit Reporting Agencies Experian, Transunion and Equifax have agreed to several changes in how they report credit scoring for individuals. The first change is how the Credit Reporting Agencies process disputes. The way the agencies handled disputes in the past is the consumer disputes an item on their credit report, then the Credit Bureau would go back to the creditor to see if they dispute had merit. In most cases the Bureau would give deference to what the creditor reports without actually looking into the merits of the dispute. Under the new framework they would hire an employee to deal and investigate the dispute. Since this is a new system, we will have to wait and see how accurate the investigation and complete the investigation is. The next change is a problem I would see every day in my practice and that is reporting medical debt as delinquent on a credit report, before the insurance company had a chance to pay the bill or in some cases the bill is disputed. Now there is a 180 day delay before medical debts can appear on a credit report. This will not solve the problem, but at least should remove some inaccurate items from individuals’ credit report. The problem is the complexity of the medical insurance and billing systems in place, and this makes it difficult for consumers to know what is covered by insurance and what is not, so many disputes can take over 180 days to resolve. This will become more of an issue with the proliferation of Health Savings Accounts and high deductible heath care plans. The third change is parking tickets and library fines will no longer appear on your credit report. In years past these items would appear on your credit and could hurt your overall credit score. 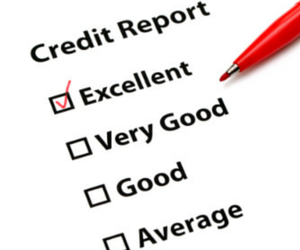 The final change is consumers will be able to request more than one credit report per year, through www.annualcreditreport.com, if they have disputed an item and want to verify the item has been corrected. Under the old system consumers could only request one credit report per year for free. The important thing to remember about these changes is they need to be regulated, and it remains to be seen how effectively they will be implemented. Consumers always have legal redress if they do not think the credit agencies are handling their claims fairly, they can sue under the Fair Credit Reporting Act. This allows consumers damages for false credit reporting data that leads to actual damages, meaning reduced access to credit, or credit at a higher interest rate.